They want to make the web a better place, we all do, but that doesn't always equal better SEO. First, I need to say again, I had to think really hard before I publicly “outed” someone for giving false data. And on MOZs defense, I “thought” they catered to a different crowd, but after reading ViperChills article on how the 16 Major Media players pretty much own Google’s first page on most of the money making terms I thought if we are going to have ANY fighting chance at ranking, the SEO Guru’s need to be clear about who their audience is and really qualify whether their postings are based on tested variables, theory, or if they just “heard” it from someone else or “this is what Google wants you to do” type of SEO. In this case, I believe MOZ is just telling you what Google wants you to do. Which is a bit sad as MOZ is a large entity in this space and I am now assuming that we have the same audience; Small Business, Local Guy/Gals Trying To Do Good & Individuals looking to get out of their 9-5 somehow. All of which have most likely turned to MOZ at some point (they claim to have 35,000 customers and a community of 500,000 plus, and Facebook even has their reach well over 3 million) so that is a lot of small guys listening to them. And I am not saying that some of their stuff isn’t great, it is, for example, the historical algorithm so and so did is absolutely incredible, and many of their tools and metrics are staples in a large percentage of this industry. But, does more tools, the larger the community, the huge customer base and reach make the information that comes from them accurate? I think no. But that isn’t a bitter no, it is just well, we know a large company can sometimes get away from what is REALLY going on with the nitty gritty details at ground level. And is that not true for any industry? But, at the same time, in THIS industry, without qualifying what is being said, the small business and/or local guy takes away inaccurate information and then spend the next year going no where because of it. When I caught the April 29th White Board Friday titled: 8 Old School SEO Practices That Are No Longer Effective – Whiteboard Friday I thought, ok, let see, but then I was like, ohhhh wait a minute, some of these things still work and work REALLY WELL!! But, I know better then spouting my “opinion” without being able to back it up, so the next day I asked the amazing Kyle Roof, to test 4 of the 8 SEO tactics MOZ claimed not to work. So why the false information? Well, MOZ’s statement on their about page, “Making the Web a Better Place and loving every second of it!” is pretty much in alignment with Google’s. They both want to make the Web a better place. Awesome! We all want that! MOZ wants to make a better web.. and so do I, we just do it differently. I do not tow Google’s line in any way shape or form and vehemently (for better or worse) steer my audience into making their own decisions about SEO and how messy they want to be by giving them the tested truth and letting them make their own decisions based on their own risk tolerance and goals. MOZ lives in the black and white world, they being white of course and the rest of us black, but in reality, there is no white, (if you are trying to manipulate Google’s rankings, you are doing something that is against their terms and conditions you are black-hat) so again, no ice cream here. So be careful when you read or watch someone tell you how to do something. Even this article! Take it for what it appears to be. Another somebody talking to you, showing you what they got. I just hope that you can see that instead of towing Google’s line (that again, ultimately thwarts small business from doing SEO) I am trying to make a better web by helping Small Business/Local Boy and or Girl Do Good/Individual who needs to get out of their job, WIN in SEO, even if it is messy (or spamming looking) sometimes. Bottom line is MOZ is fulfilling their mission with their advice, but by “Making the Web a Better Place” again doesn’t necessarily equal good SEO. Here are the 4 items from that Whiteboard Friday we tested and busted. And I was actually pleasantly surprised that most of you guys got them correct!! Good for you! 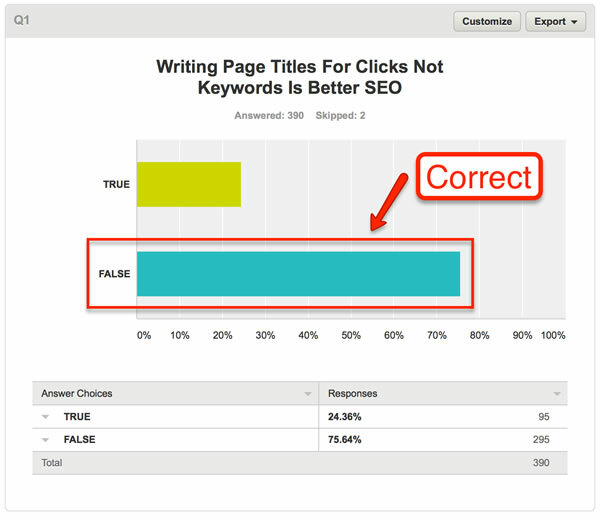 So here we go..
Test 1: Writing Pages Titles For Clicks Not Keywords is Better SEO. In this whiteboard, MOZ makes the claim that you should not be optimizing meta titles for a target keyword or target keywords, but that you should be optimizing to get clicks. The results: The meta title that is optimized for keywords wins both the simulated searches of ‘pipes’ and ‘wooden pipes’ therefore this Myth was busted and most of you got that right. But for me, especially after reading about the Big 16, I think we need all the help we can. But it does depend on your goals and situation, so there is no one blanket fits all and that is what MOZ is pretty much doing. So, we put it to the test for plain SEO. Hypothesis: Myth: Exact Match or Partial Match domains do not work anymore. For this test there were 500 words on the page, with a 2% keyword density. There were 6 domains used; each domain only had a home page. The page contained an H1, H2, H3 and H4. Results: In Test 1 the Exact ranked number 1, Partial number 2. Test 2 Exact ranked number 1 and Random number 2. Test 3 Partial ranked number 1 and Random number 2. And you guys were on point with this one! Myth busted! 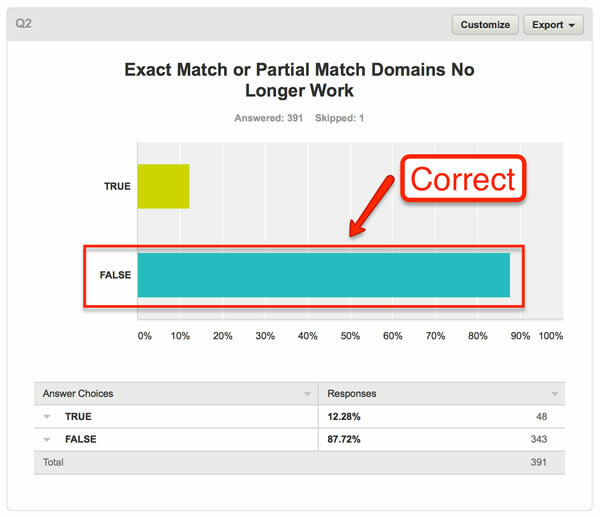 Exact match domains totally work. Exact match domains will beat both a partial match domain and a random domain, even when all domains are equally optimized on page for the target keyword phrase. We then took things a step farther and created optimized internal pages to see if they would beat the exact match domain. Answer: Nope. The exact match domain still wins. You can see this in the below screenshot. A second page containing the target keyword on the partial match domain was created and it loses to the exact match domain. 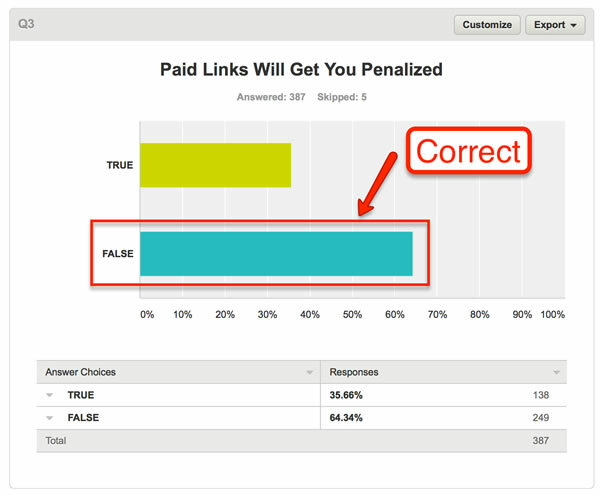 Test 3: Will you get penalized for buying links? Hypothesis: Google’s automatic algorithm cannot distinguish between a legitimate link and a paid link, paid links will positively affect rank. Background Info: Google tells you that buying links is a big no ­no, and so did MOZ but how can they tell if you’ve purchased a link or not? We didn’t think they could. We think that spam or toxic links flag for certain reasons but on not simply because they were purchased. Kyle thought there was a chance that the provider wouldn’t go for this so he actually contacted the provider ahead of time with the anchor text that he wanted to use. The provider promptly responded, ‘no problem.’ which we both thought that was hilarious. 3 identical pages were created and launched. The 10,000 links were pointed at the #2 ranking page. 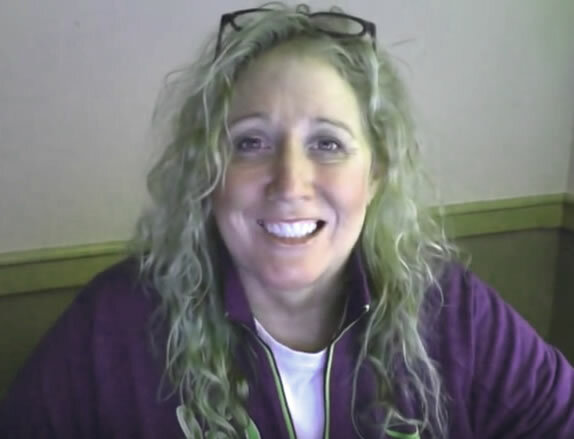 After the links were pointed and sent to me in my report from my Fiverr provider, I put them through a link indexer set to index 500 links each day. Results: The test page moved from #2 to #1. Even though the links clearly identify themselves as paid links and they were purchased from a obvious spam provider on fiverr.com. And you guys mostly got this one right! So you should definitely go out and buy as many spam links as you can. I kid, I kid, that is a terrible idea. These links will probably flag at some point, but I don’t think it will be because they were purchased. I think it will look highly suspect that 10,000 links hit a site in the span of 1 day. However, I’m not sure if Google’s automatic processes can even catch and penalize based on many links hitting a site at one time. As we have seen with on page factors, several crawls are required for indexing and ranking to take place. I would think off page factors follow a similar pattern. We will monitor this test to is when (or if) the page is ever dropped. 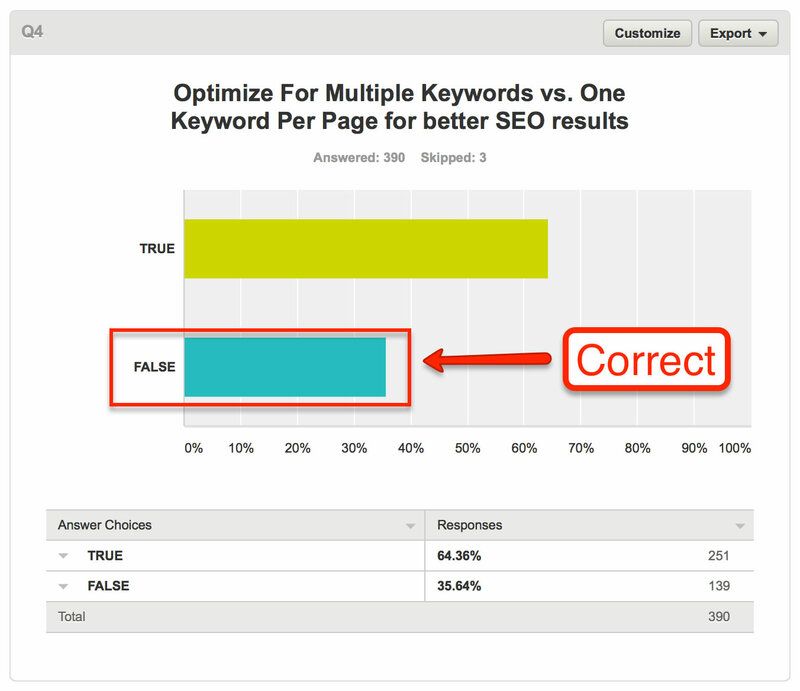 Test 4: You should optimize your pages for multiple keywords. MOZ argues that when you are facing multiple variations on target keywords, you shouldn’t create individual pages for those keywords but you should put them into one intelligently optimized page. The reason is that the intent for all the searches is the same. This sort of scenario comes up all the times with clients, especially on ecommerce sites. Clients will ask: If I have a product that comes in 4 different colors, should I have 1 product page with a drop down that has the the 4 colors, or should I have 4 different pages, 1 for each color? 1 page was optimized for 1 target keyword. A second page was optimized for that target keyword as well as 3 other keywords. Both pages had the same number of words on the page and the keyword density was the same for both. However, because the control page was only optimized for 1 keyword, there was naturally more usage of that keyword on the page. You certainly don’t want individually optimized pages for every conceivable keyword variation, there isn’t enough time in the day or enough client budget. Also, you will definitely win some keyword variations on a main target page. However, if you really want to win a particular keyword or keyword phrase, if it is a must win for a client, I would recommend that you have a page dedicated to it. MOZ argues that the reason you don’t want to create separate pages for different variations is that the search intent is the same. His idea is that by working those variations into the content on the page you’ll win them. Not sure that we agree with that at all, but you know our mantra, let’s test it. To be completely fair toMOZ, next month we’ll try to simulate the variations to be a little closer. For example, we’ll try to simulate the situation where a client wants to win ‘handmade widgets,’ ‘unique handmade widgets,’ ‘unique handmade blue widgets,’ ‘some other close variation’ etc. And For More Information on Kyle’s testing methods and watch the video that is on the post “The Top 10 SEO On-Page Factors” for even more super real SEO ice cream. For more information on getting test results like this on a monthly basis, get on the waiting list for the S.I.A Testing Club.